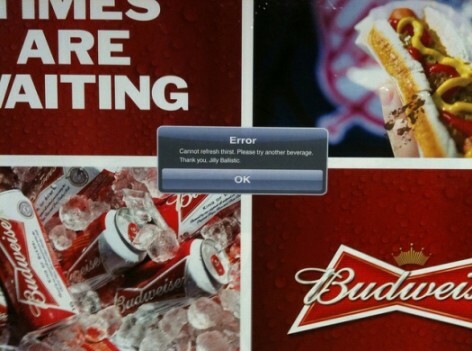 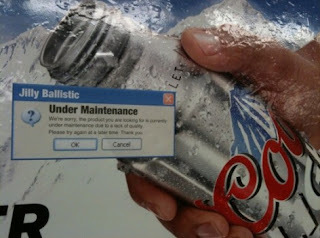 Usually computer error messages can drive a person insane with frustration. But in a recent attack on out of home ads in NYC, they provide a bit of comic relief. Jilly Ballistic, a street artist from Brooklyn, has been placing images of computer dialog boxes on ads as commentary about the item being advertised. 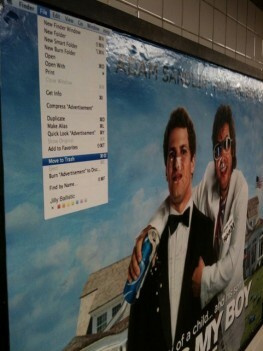 For example - on a poster for the latest Adam Sandler movie, she placed a file menu with "Move to Trash" selected. A tip of the hat to you on that one, Jilly.